Ivan the Terrible (Ivan Cultura) meets Ivan the Great (Ivan Henares).... Huwat??!! 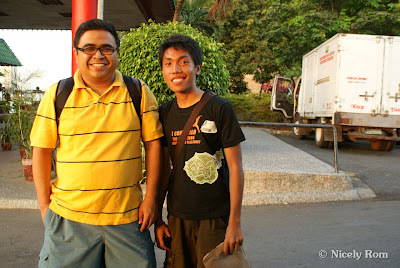 Yup, I just met this great man, my travel-around-the-Philippines idol. I first heard of his name at RX 93.1, he's the guest there and was telling a lot about his travels. Inspired by his stories, I, only 17 at that time, started following his blog Ivan About Town, became one of his fan in his page, and even added him as my FB friend (thank God he accepted the terrible guy's request). I envy him to the highest extent, his achieved goal became my goal - set foot in all the 80 provinces of the Philippines. Last Friday (Apr 8) at 1 AM, while blog hopping, I received a notification from the PTB group. 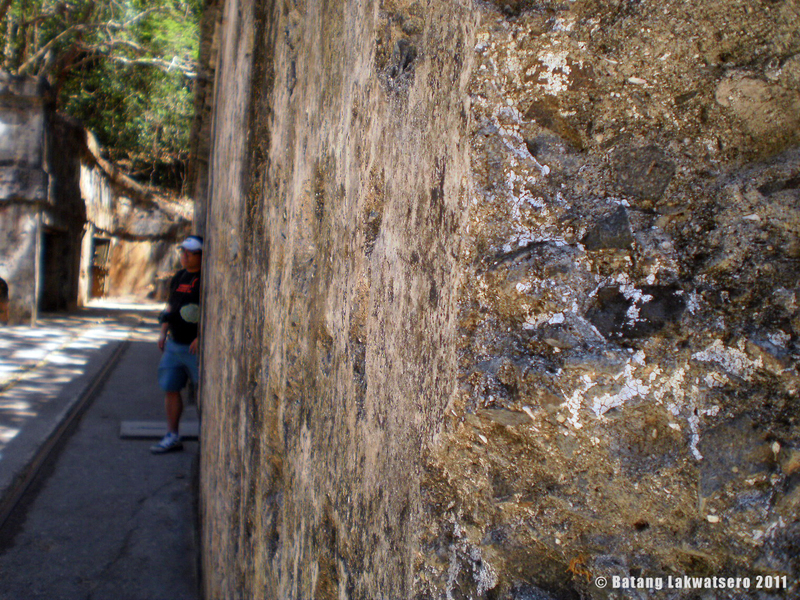 He posted there an invitation: "Whole day Corregidor trip on Wednesday, April 13, 2011. There are 12 slots. Please confirm ONLY IF you are sure. Post your complete name (for manifest) and travel blog URL. Thanks!" OMG, I have an OJT. I can't go... but.. but.. alright, OJT vs. travel. Placed both on my weighing scale, then *chuug*, travel weighs more than OJT. My original plan was to just not attend my training at the RITM laboratory, pero buti na lang, the start of our OJT was moved to 18, lucky indeed. April 13, 2011 - Corregidor Island Adventour Challenge + Manila Bay Cruise Dinner. Just this morning, Chinchan Lakwatsero and I arrived early at the Sun Cruise Dock Area. Then I saw this great man in blue, wearing his black-framed glasses and a white sun visor. Of course, na-starstruck ako (*•*). Huwaw... and my first words to him, "hello po, goodmorning po sir." He was with us the whole day. During the Corregidor Adventour Challenge, he was just a spectator. He had the buffet lunch with us too at the Corregidor Inn. 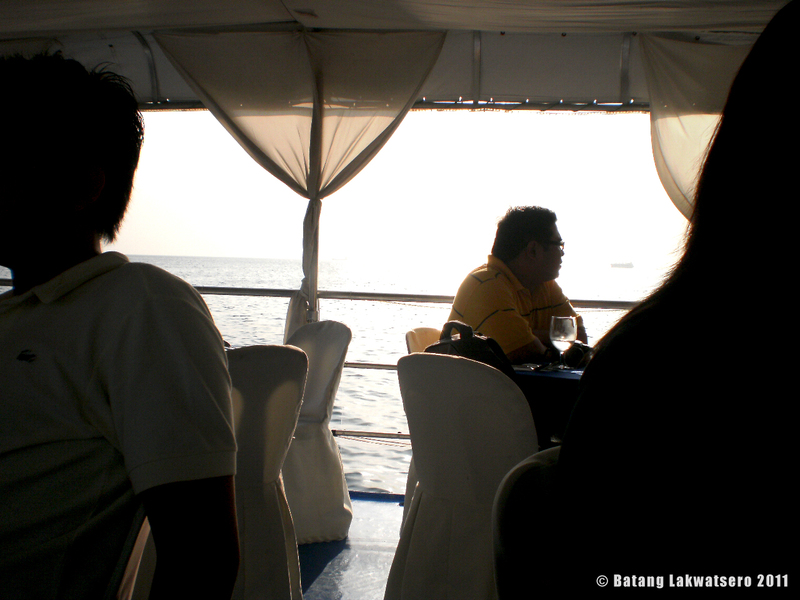 And also he dined with us at the Manila Bay Cruise. We really had a great time with this great man. Thank you so much sir Ivan Henares. 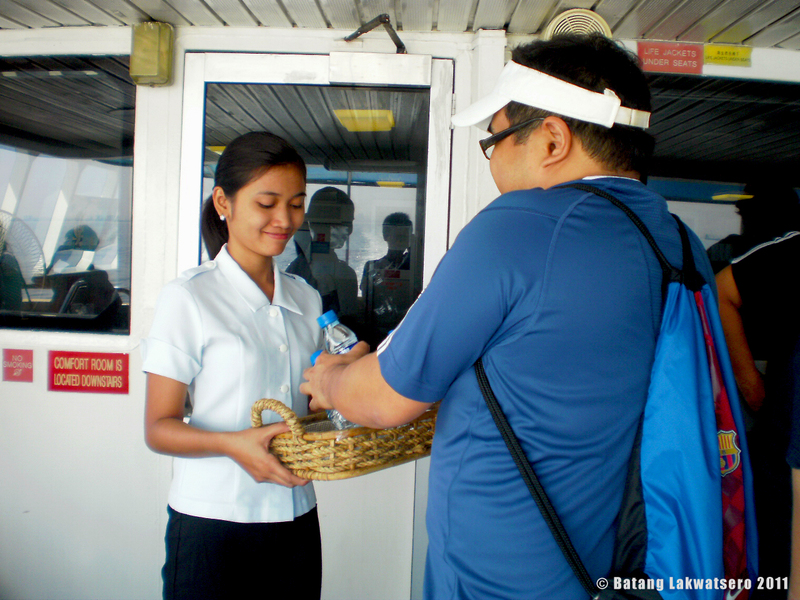 Ivan Henares, himself, gave us some snacks and bottled H2O during our cruise ride to Corregidor. Sarap nman ng trippings. Wish you enjoy all your travels this summer. ako naman nung nakasama ko si Sir Ivan sa Boracay akala ko kung sino lang. tapos ang dame nyang kwento sa ibat-ibang lugar. 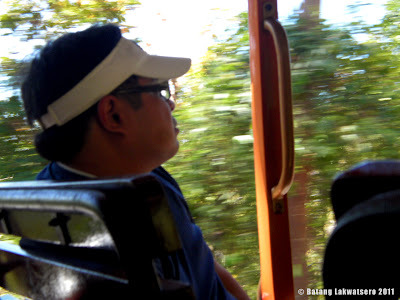 late ko na nalaman sa astig yung mga travel nya and sikat pala sya sa travel blogging...i was amazed din nung nalaman kong naikot na nya buong pinas! istalker ka pala ivan eh! haha! me likey din! sir ivan's a great person to look up to! hoy darwin! ako ba, di mo idol? ahahahha! just kidding! great post Ivan! at age 62 I'll do what you did Travels around the country and abroad being a History teacher. You gave me strength and inspiration to do so.